In the 1900’s, an iatrogenic form of Mercury toxicity called “Pink Disease” was caused by teething powders containing mercury. Most kids seemed to do fine with it. However, about one in 500 children exhibited signs and symptoms of mercury toxicity. This suggests a genetic susceptibility in these few kids, perhaps an inability to detoxify mercury from the body. A recent 2010 study shows that male neonates (newborns) vaccinated with the Mercury containing hepatitis B vaccine had a three-fold higher rate of autism compared to controls. (1) Perhaps these newborns had a reduced ability to handle the Mercury load. Left Image: Increasing autism cases. The science is quite clear that Mercury is a neuro-developmental toxin, so it is surprising to me that mainstream medicine is still injecting infants with mercury contained in the Hepatitis B vaccine. California has banned the use of mercury containing vaccines in infants and pregnant women since 2006. (8) The remaining states should follow California’s lead. It is also quite clear that mainstream medicine must put its head in the sand and deny the plausible link between Mercury exposure and Autism. There is too much money at stake. If the link was to be accepted by mainstream medicine, the vaccine manufacturers and the government would be on the hook for billions in damages. 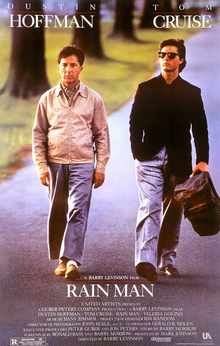 The movie, Rain Man, starring Dustin Hoffman and Tom Cruise popularized the “savant”, the person with autism who displays exceptional mental abilities, Dustin Hoffman’s character had the ability to count objects instantly. In one scene, a box of toothpicks spills out on the floor, and he is able to provide an exact count within seconds. He is then taken on a gambling trip to Las Vegas to “count cards” in a scheme which ends badly when the casino discovers the plan and expels them. “They say they believe that it is possible that Taylor survived the horrors of the swamp not in spite of his autism, but because of it. Another high functioning autism success story is Temple Grandin, Ph.D., a gifted animal scientist who designed livestock-handling facilities. Her story is told in recent movie about her life. She has written a number of books available on Amazon. Left image: Book cover for:The Autistic Brain: Thinking Across the Spectrum by Temple Grandin. Doctors With High Functioning Autism ? Frankly, many college and medical students are socially awkward, unemotional, and yet incredibly focused. A subset of college students have high functioning autism. How many of these shed their diagnosis of autism, finish college, enter medical school and eventually become doctors? We sometimes ponder this question sitting around the dinner table. This article is Part One of a Series. For Part Two, Click Here. Hepatitis B vaccination of male neonates and autism diagnosis, NHIS 1997-2002. Gallagher CM, Goodman MS. PhD Program in Population Health and Clinical Outcomes Research, Stony Brook University Medical Center, State University of New York at Stony Brook, Stony Brook, New York, USA. Universal hepatitis B vaccination was recommended for U.S. newborns in 1991; however, safety findings are mixed. The association between hepatitis B vaccination of male neonates and parental report of autism diagnosis was determined. This cross-sectional study used weighted probability samples obtained from National Health Interview Survey 1997-2002 data sets. Vaccination status was determined from the vaccination record. Logistic regression was used to estimate the odds for autism diagnosis associated with neonatal hepatitis B vaccination among boys age 3-17 years, born before 1999, adjusted for race, maternal education, and two-parent household. Boys vaccinated as neonates had threefold greater odds for autism diagnosis compared to boys never vaccinated or vaccinated after the first month of life. Non-Hispanic white boys were 64% less likely to have autism diagnosis relative to nonwhite boys. J Toxicol Environ Health A. 2011;74(18):1185-94. Ancestry of pink disease (infantile acrodynia) identified as a risk factor for autism spectrum disorders. Shandley K, Austin DW. Swinburne Autism Bio-Research Initiative (SABRI), Brain and Psychological Sciences Research Centre, Swinburne University of Technology, Hawthorn, Victoria, Australia. Pink disease (infantile acrodynia) was especially prevalent in the first half of the 20th century. Primarily attributed to exposure to mercury (Hg) commonly found in teething powders, the condition was developed by approximately 1 in 500 exposed children. The differential risk factor was identified as an idiosyncratic sensitivity to Hg. Autism spectrum disorders (ASD) have also been postulated to be produced by Hg. Analogous to the pink disease experience, Hg exposure is widespread yet only a fraction of exposed children develop an ASD, suggesting sensitivity to Hg may also be present in children with an ASD. The objective of this study was to test the hypothesis that individuals with a known hypersensitivity to Hg (pink disease survivors) may be more likely to have descendants with an ASD. Five hundred and twenty-two participants who had previously been diagnosed with pink disease completed a survey on the health outcomes of their descendants. The prevalence rates of ASD and a variety of other clinical conditions diagnosed in childhood (attention deficit hyperactivity disorder, epilepsy, Fragile X syndrome, and Down syndrome) were compared to well-established general population prevalence rates. The results showed the prevalence rate of ASD among the grandchildren of pink disease survivors (1 in 22) to be significantly higher than the comparable general population prevalence rate (1 in 160). The results support the hypothesis that Hg sensitivity may be a heritable/genetic risk factor for ASD. Acta Neurobiol Exp (Wars). 2010;70(2):209-26. The biological basis of autism spectrum disorders: Understanding causation and treatment by clinical geneticists. Geier DA, Kern JK, Geier MR. The Institute of Chronic Illnesses, Inc., Silver Spring, Maryland, USA. Autism spectrum disorders (ASDs) also known as pervasive developmental disorders (PDD) are a behaviorally defined group of neurodevelopmental disorders that are usually diagnosed in early childhood. ASDs disproportionately affect male children. Mercury (Hg) a heavy metal, is widespread and persistent in the environment. 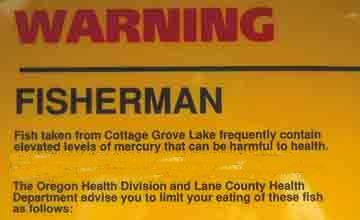 Mercury is a ubiquitous source of danger in fish, drugs, fungicides/herbicides, dental fillings, thermometers, and many other products. Elevated Hg concentrations may remain in the brain from several years to decades following exposure. This is important because investigators have long recognized that Hg is a neurodevelopmental poison; it can cause problems in neuronal cell migration and division, and can ultimately cause cell degeneration and death. Case-reports of patients have described developmental regressions with ASD symptoms following fetal and/or early childhood Hg exposure, and epidemiological studies have linked exposure to Hg with an elevated risk of a patient being diagnosed with an ASD. Immune, sensory, neurological, motor, and behavioral dysfunctions similar to traits defining or associated with ASDs were reported following Hg intoxication with similarities extending to neuroanatomy, neurotransmitters, and biochemistry. 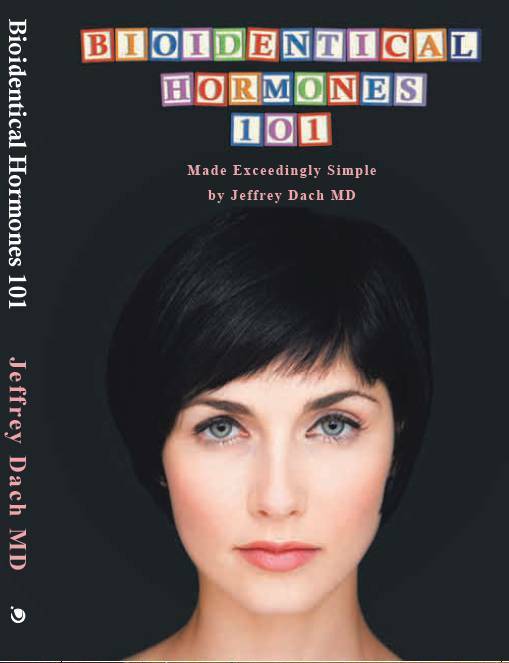 The sexual dimorphism of ASDs may result from synergistic neurotoxicity caused by the interaction of testosterone and Hg; in contrast, estrogen is protective, mitigating the toxicity of Hg. Mercury exposure may significantly increase androgen levels, and as a result, patients diagnosed with an ASD may significantly benefit from anti-androgen therapy. Finally, the clinical geneticist has a wealth of biomarkers to evaluate and treat patients diagnosed with an ASD. They say they believe that it is possible that Taylor survived the horrors of the swamp not in spite of his autism, but because of it. Her brother is focused, she said. Mrs. Touchstone says Taylor will focus all his attention and energy on a simple thing — he will fixate on a knot in a bathing suit’s draw string — and not be concerned about the broader realm of his life. If that focus helped him survive, Mrs. Touchstone said, then ”it is a miracle” that it was her son and not some otherwise normal child who went for a four-day swim in the black water of a region in which Army Rangers and sheriff’s deputies could not fully penetrate. He may have paddled with the gators, and worried more about losing his trunks. CNS Spectr. 1999 Dec;4(12):57-60. The savant syndrome and autistic disorder. Treffert DA. Behavioral Health Services Department, St. Agnes Hospital, Fond du Lac, WI, USA. Savant syndrome, characterized by remarkable islands of mental ability in otherwise mentally handicapped persons, may occur in autistic as well as nonautistic individuals. Overall, approximately 10% of autistic persons exhibit savant abilities; roughly 50% of those with savant syndrome have autism, and the remaining 50% have other forms of developmental disability. Most commonly, savant syndrome takes the form of extraordinary musical abilities, but may also include calendar-calculation, artistic, mathematical, spatial, mechanical, and memory skills. While savant syndrome was first described more than a century ago, only recently have researchers begun to employ a more uniform nomenclature and more standardized testing in an effort to compare the abilities of savants with those of normal persons. Males show signs of savant syndrome approximately four times more often than females. Along with imaging study findings, this fact suggests the presence of a developmental disorder involving left-brain damage with right-brain compensation. Author SeaWiFS Project, NASA/Goddard Space Flight Center, and ORBIMAGE. Description Zigzag River, good stuff for the kids. 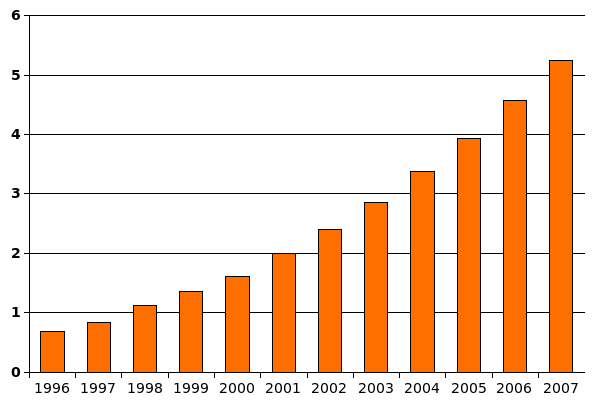 English: Bar chart of the number (per 1,000 U.S. resident children aged 6–17) of children aged 6–17 who were served under the Individuals with Disabilities Education Act (IDEA) with a diagnosis of autism, from 1996 through 2007. Counts of children diagnosed with autism for each year were taken from Table 1-9 of IDEA Part B Child Count (2005) and from Table 1-11 of IDEA Part B Child Count (2007). These were divided by census estimates for U.S. resident population aged 6–17 taken from US census estimates for 1990–1999 resident population by age and the similar estimates for 2000–2007; for all years, the September population estimates were used. Toxicol Environ Chem. 2011 May-Jul; 93(5-6): 1251–1273. My niece just had a baby and declined the hepatitis vaccine in the hospital, and now I’m glad she did. It breaks my heart for the children, that they are being used as human guinea pigs by greedy corpororate companies stretching from pharmaceuticals to food, I am so blessed that I found the path that follows Dr Mayer Eisenstein. Home birth, exclusive breastfeeding ffor no less than one year (I did 2) and NO vaccines, God says to protect the children and treat your body as a temple and not to harm it…. have we as a society, have no conscience? Mercury, Aluminum and more chemicals. A shot is not food, where it is digested. A shot stays with you and gets passed on to your children. The CDC now requires 49 different doses by the time the child is 6. These poor babies. We are killing future generations. How sad! They keep pushing more and more!